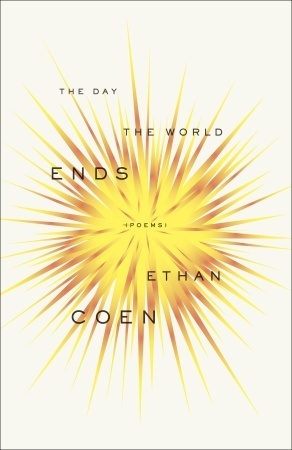 To celebrate National Poetry Month, Crown Publishing Group/Random House has offered one lucky U.S. reader a copy of the new book of poems by Ethan Coen. Learn more about The Day the World Ends and then enter below to win your own copy. When not writing plays, poetry, or short stories, ETHAN COEN makes movies with his brother, Joel Coen. After thirteen films, the Coen brothers have one of the most beloved and critically acclaimed bodies of work in the history of cinema. To enter for a chance to win The Day the World Ends by Ethan Coen, please fill out the entry form below. Open to U.S. residents only. While I don't have just one favorite the poems of T.S. Eliot have always appealed to me. I love Ethan Coen! If I win, will you ship to Taiwan? Sorry, as stated in the terms & conditions this giveaway is available to US residents only. I'm not a huge fan of poetry. But I thought the Cohen name looked familiar. Love the Cohen brothers' movies!